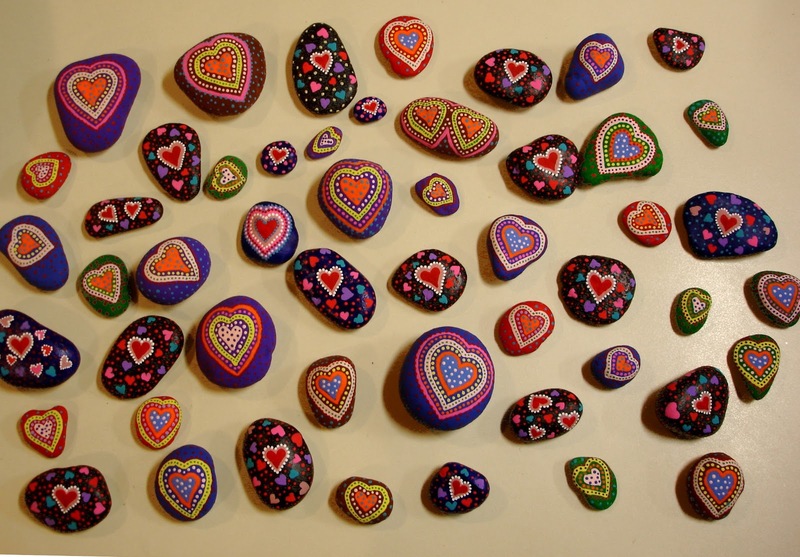 With Valentine's Day approaching quickly I thought I'd dot up some Heart Rocks. These still need to have a couple of protective clear coats sprayed on, but it's been too cold outside. We have some warmer days coming up, so they'll be finished soon.